Battery Maintenance 101: How to Extend Battery Life of Razor Scooter Battery Pack? Do you own a Razor scooter that needs frequent battery replacement? If so, you should know that you could extend the life of your scooter’s battery by following proper battery replacement and care. Most people report trouble in getting more than a year or two out of their razor scooter battery set. This is actually a common problem not just with razor scooter battery but also with classic cars, mopeds and motorcycles. Read on if you want to know how to extend the life your razor scooter battery to its full capacity and get three or four year’s worth of use. The first thing to realize is that the razor scooter battery does not suffer from memory affect. This means that you do not have to fully exhaust the battery before charging it. In fact, it is far better if you could charge your razor scooter battery after every single use. You must charge the battery if the scooter has used half of the capacity (run time) of the battery. 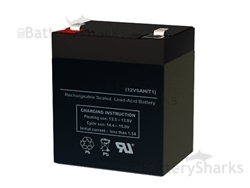 Keeping your battery fully charged is recommended as it avoids the build-up of sulfate-ion inside it. This is the most common reason of premature depletion of lead acid batteries. 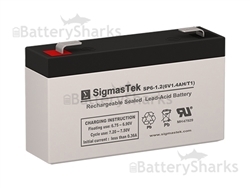 Sulfate-ion accumulates when the battery is put on a discharged state for a long period. You can avoid this if the scooter battery is kept in a constantly charged state. Another common reason that the battery dies prematurely is not charging the battery during off-season storage. This greatly reduces the maximum life of the razor battery. 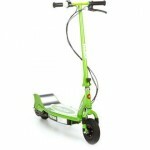 The razor scooter battery should be charged at least once during the off-season. Remember that the sealed lead acid battery will discharge itself at a natural rate when not in use. The battery will discharge itself completely if not charged for at least 3 – 6 months. 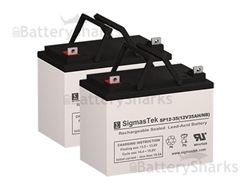 In addition, there is a potential of sulfate-ion buildup if the battery is left in the storage for four to five months or more. The sulfate-ion builds up inside the internal plates that slowly depletes the battery’s capacity. In order to prevent this from happening, you should charge the razor scooter battery at least once every three months when it is not in service. On a final note, you should note that the above steps would work only if you follow them consistently. When you take the required precautions outlined in this article, this would greatly help in extending the life of the battery. This will save you money in the long run as you do not have to frequently replace the batteries. We hope that you find the above information about razor scooter battery maintenance useful and informative. Stay tuned for more maintenance tips and tricks for getting maximum value out of the sealed lead acid batteries. Good Luck!